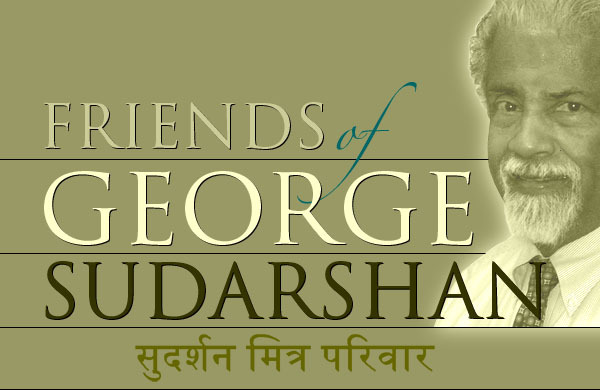 Friends of George Sudarshan (FOGS) is an organization comprised of family, friends, colleagues, and associates of Professor Ennackal Chandy George Sudarshan, Professor of Physics at the University of Texas at Austin. FOGS are dedicated to generating broad public recognition of the many seminal contributions of this great thinker and his impact on human knowledge. © 2006, The University of Texas. All rights reserved.